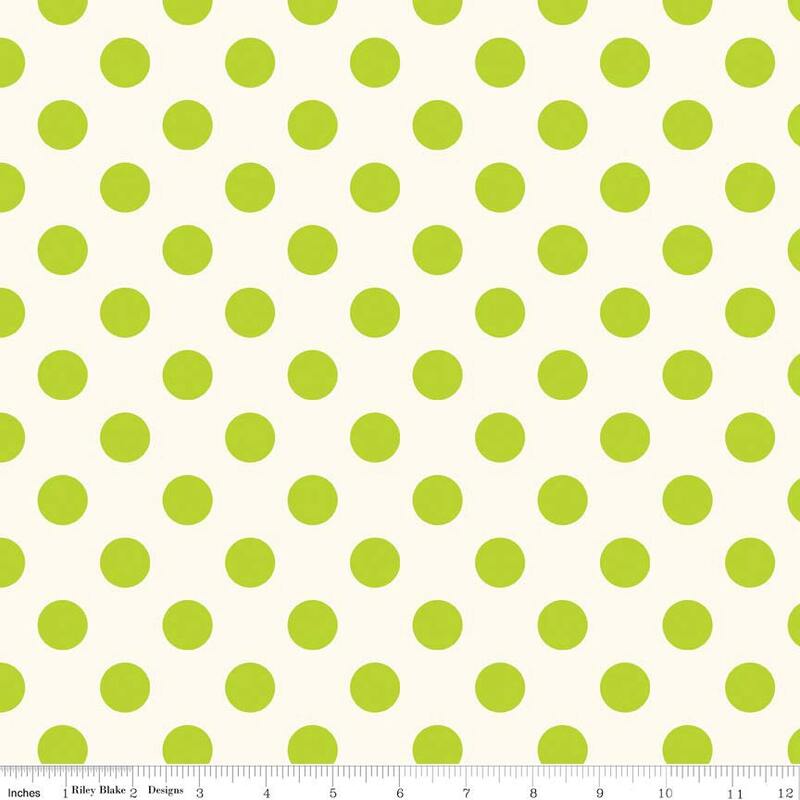 3/4" lime green dot approx. 1 1/8" apart on a creamy white background. Thank you Happy Valley! Received the fabric quickly and was exactly as described. Fabric is quality quilting fabric.